Pinterest A Grateful Life Lived: Attention Book-Buying College Students: I Have a Solution! Attention Book-Buying College Students: I Have a Solution! As a soon-to-be college freshman with too much time on my hands, I spent a good week researching the best way to buy college textbooks. I've heard so many horror stories of money flying out the door when it comes to these textbooks! 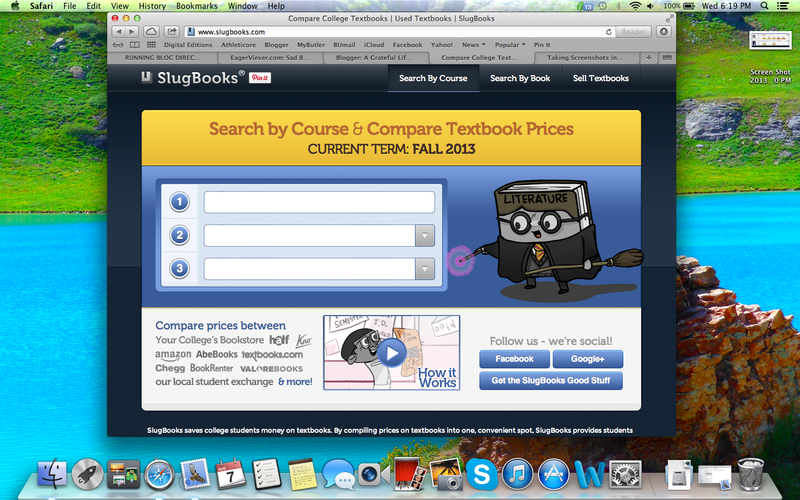 That is how I came across SlugBooks. This website is genius! 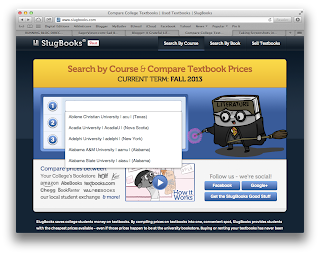 It takes all the websites that students usually use to buy books-- Amazon, Ebay, Chugg, and even your campus bookstore-- and compares their book prices side by side, both for purchase and rent. 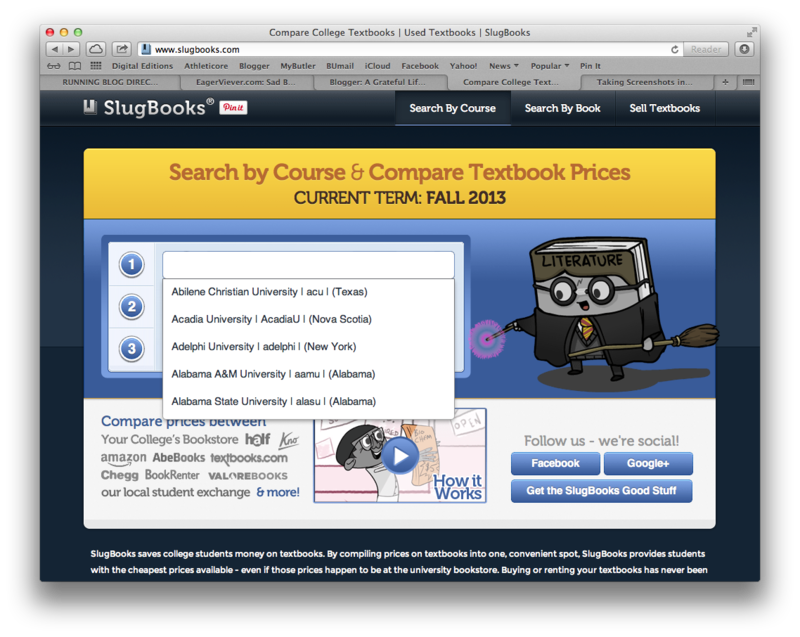 For many universities, including my own, you can even plug your classes in on the site and be told what book you need. The ones the SlugBooks brought up matched exactly with those that my school says I need! Instead of scouring the internet for hours, I was able to quickly find the least expensive websites for books. However, I would also recommend googling for promo codes on the independent websites before you actually purchase the books. You might find free shipping. I know that Amazon also has free shipping for college students, so take advantage of that (I bought 4 books off of Amazon). SlugBooks.com was so helpful. One of my books was priced at $146 retail and I got it for only $28.00. Plus, I'll be able to resell it after I use it! Think about that as you contemplate an evening dedicated to your laptop and some Google Shopping. I was too impressed with this website not to share! If this was helpful, check out some of my other college tips! Plus, prepare for the academic rigor of college by purchasing some of these good, nutritious snacks for students.